First and foremost I would like to post a disclaimer. A rating of two stars from me doesnt mean the book is bad. In fact I would settle with a 2.5 because it is the kind that made me ponder what was the key takeaway from the story and I found myself left wanting. Also, it is a bit more readably readable unlike the description for my two star rating. So I will do the review by stating a positive and then what went wrong for me. The plot started with a bang. A young intern is gangraped and the search is on to nail the culprits. It was a really powerful theme and would have worked wonders but for the glitches. I got lost in the intermittent twists and turns in the storyline. Yes, there were a few scenes which could have been rewritten or re-worded. The narration on the whole gives the feel of a motion picture. It could be filmed into something akin to the action movies with a gothic theme. But when it came to reading per se the language, I felt at times, was way too graphic and violent. Again its my personal opition. There were a few jerks in between narrations, maybe because of it I could have lost out on the comprehension part. The story did evoke imageries but after sometime they became too much overwhelming for my comfort and I had to stop my mind from thinking. There were few characters who were the highlights of the story, as in the story brought out that everybody has shades of grey. To sum up, the story is readable once because of the plot that it revolves around. Yes, there is a big difference in the treatment: It may appeal to some, it may not to others like me. Read it if you can handle graphic details and severe violence. 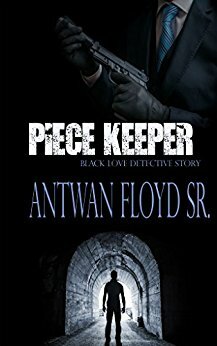 The Piece Keeper for me is the story that probably has finesse in pieces for its readers. P.S - This review is my honest opinion after reading the story. Thank you Bookr3vi3w Tours for this.